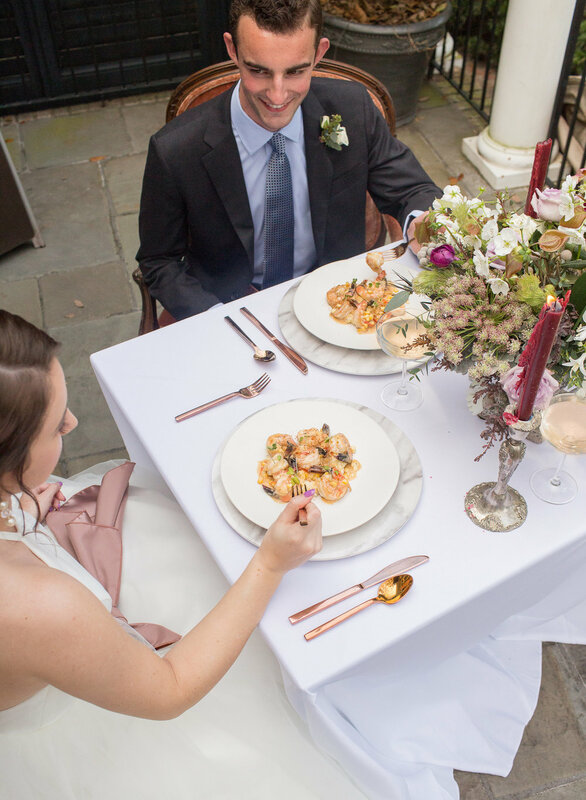 With an intimate feel and plenty of vintage charm, this Charleston wedding styled shoot goes to show that the perfect venue might be one that you know well: your own neighborhood! 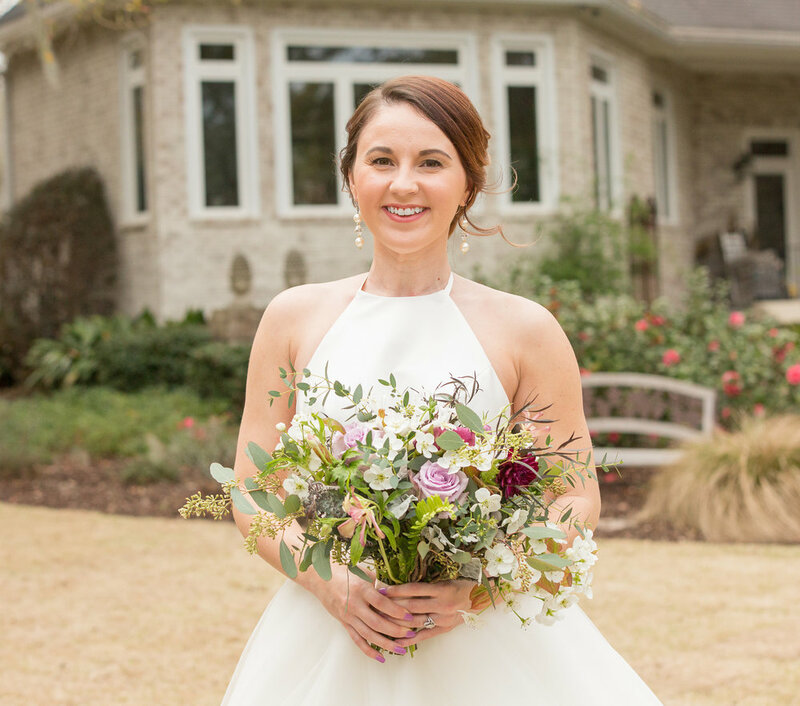 Event planner Lauren Tracy also works as the head coach for the girls' basketball team at Oceanside Academy, and it was a team dinner that brought her two passions together. 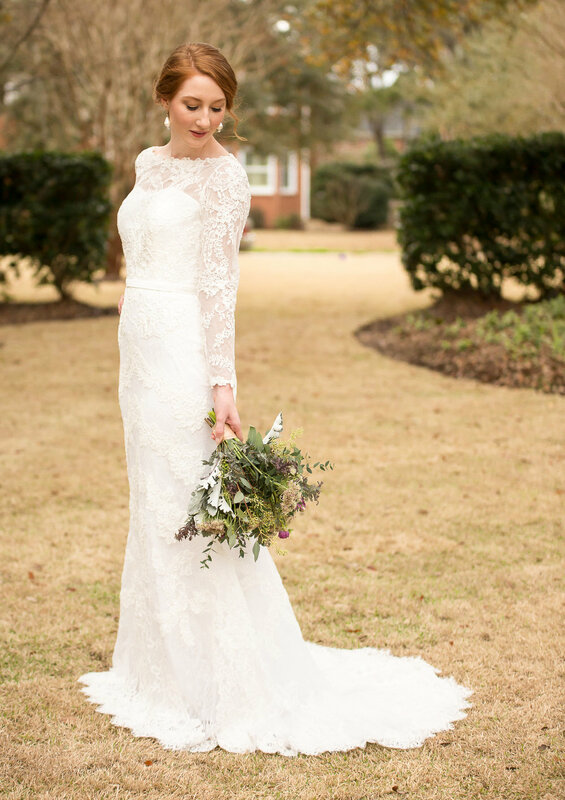 She states, "The venue that was selected [for the styled shoot] was one of my basketball player's house. When we had a team dinner there, I saw the vision and the beauty of the location." 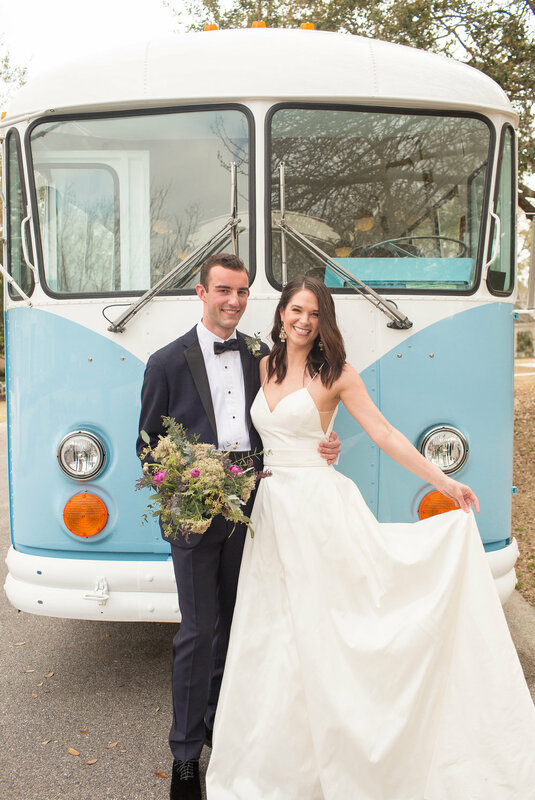 She and her team of vendor partners added in a handful of incredible bridal gowns, a few versatile models, and the cutest vintage bus you've ever seen. 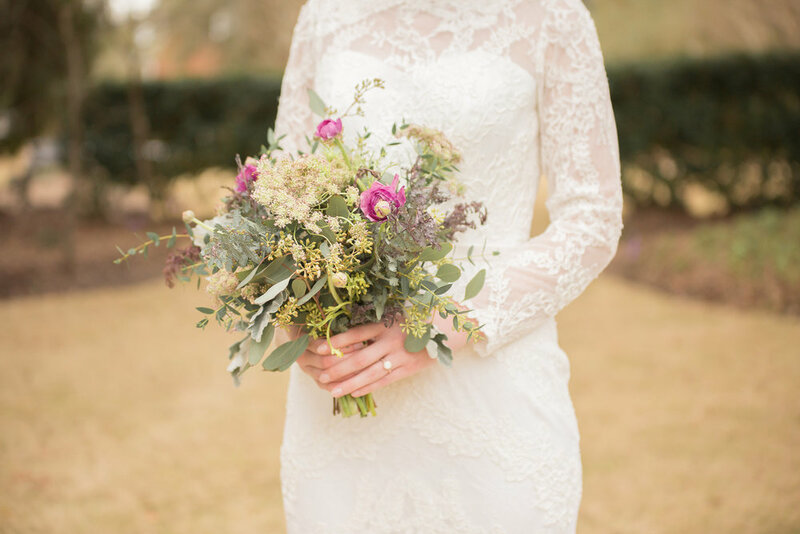 The result is a styled shoot that balances modern Southern style and a romantic vintage feel. 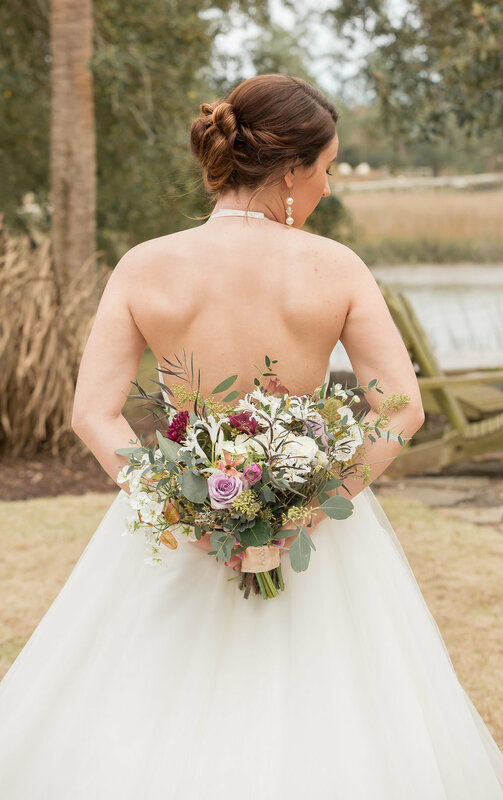 "The venue was extremely unique because it was someones home. The deco inside the house was very old Charleston and had such a vintage feel. The house was located on the water which made the photoshoot peaceful and fun." "The only thing that was a challenge was lighting. The sun was extremely bright and I was unable to use a lot of the property because of no shade! But overall, I was extremely happy with the shade we had!" 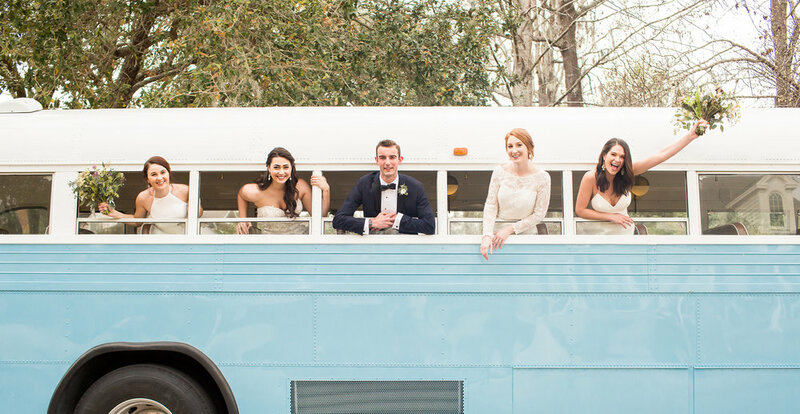 "My favorite part about the shoot was the bus that given to us for the day from Lowcountry Valet. 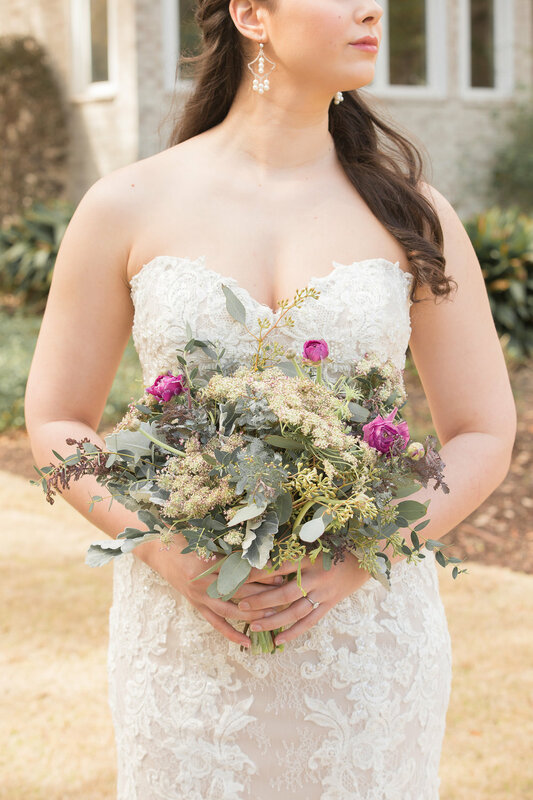 The bus pictures were my favorite and everyone had such a great time on location!"